For piano moving throughout New York including the area of Brooklyn, Manhattan, Long Island, Queens, and Staten Island. With over 20 years of experience in the moving services, AthleticMovers run company has the relevant knowledge and expertise to safely and securely transport your staff between premises. With a wealth of experience providing movers for our customers, whatever the size of their premises or the length of the journey, you can rest assured that we will carry out the piano moving in a safe and careful manner. 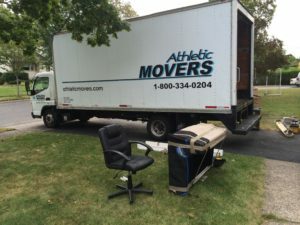 Employees AthleticMovers are well trained in furniture handling techniques and safe-driving practices. Since the packing is crucial to a successful move our packers are trained on using the right packing materials for each situation. To find out more about this or any of our other services, or to arrange for your movers today, complete our online contact form or speak with our friendly team of experts on 1-718-339-8830 today. We’ll be more than happy to help with any enquiries, and will arrange a removal for you that is efficient and competitively priced.